Watercolor pencils are magically transformative. Bring bright, vibrant colors with soft tones using wet paper, or create rich, smooth, textured lines by wetting the pencil first. 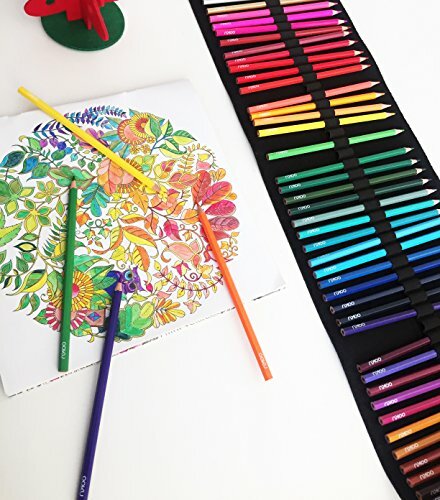 Take the OOKU Art series Watercolor Coloring pencils drawing set with you to go & to wherever your imagination takes you. Our premium grade water color pencil drawing set is primed for beginners and professionals alike looking for a perfect balance of quality and value. Add a greater vibrant and depth of color and layering to your coloring pieces by applying a little dash of water to your paper, or wet the pencil first then draw for intense color tones that color on smoothly. - Beautifully crafted, easily blended, and brilliantly colored, this Watercolor Coloring Pencil Set is a well round, well-crafted Artist Pencil series fit for all skill levels. - Wet or Dry: Apply our Watercoloring Pencils to both Wet and Dry Mediums - so use them for color sketching, coloring, or watercolor painting. - Watercolor Capable, Soft Leads create a velvet color laydown for Superior Blending and Shading. - Rich Quality Color Pigments means intense colors in each and every 7 Inch Watercolor Pencil with thick Soft Cores. 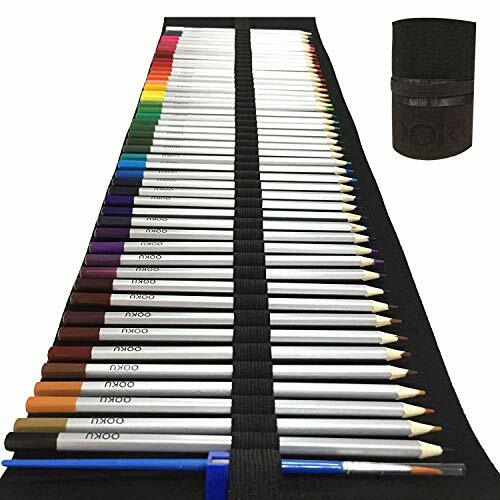 OOKU Artist Series - 48 Piece Watercolor Pencils set with EXTRA Coloring Pencils Wool Canvas Wrap, Watercolor Brush, and Pencil Sharpener are included for a FULL 51 Piece Artist Grade Kit for all skill levels. Professionally crafted for artists, with everyday use in mind featuring vibrant pigments & soft shadows used dull, or crisp, bold lines with intense color when sharp. The soft core helps create creamy textures, easy blending, and extremely smooth color laydown when wet or when applied to wet mediums. These drawing pencils can be used to Draw Dry or Paint Wet, on Dry or on Wet mediums! 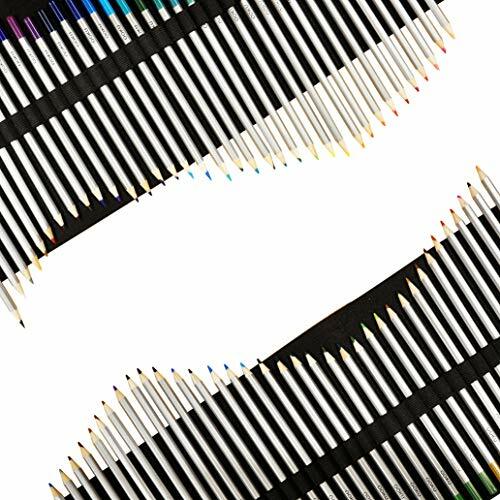 Use our Dry or Wet Watercolor Pencils by Ooku, for the fullest flexibility of color tones and watercolor painting. 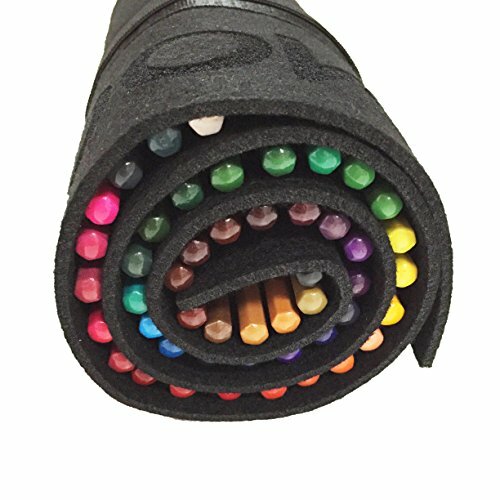 These water color pencils are ideal for all ranges of water coloring or dry sketching techniques looking for a softer yet solid tone. Try applied any assortment of water coloring techniques for a diverse range of color and texture ranges. Shade them on dry paper and apply a light water wash using the provided brush to get a watercolor look with unique blending effects - or wet the pencil tips and paint on dry materials. 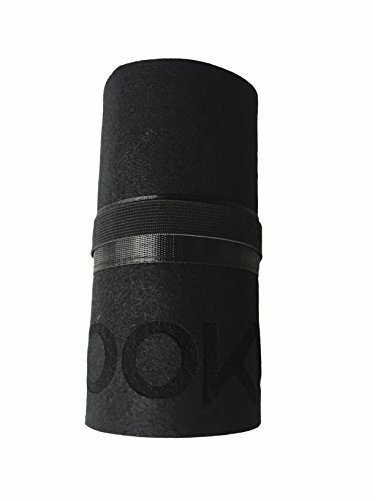 OOKU 100% Money Back Guarantee: If our products do not satisfy you, we promise to offer a 100% money back guarantee for the lifetime of the product.